Jaguar Land Rover India has begun taking bookings of its fastest production car ever, the Jaguar F-TYPE SVR. Developed by the Special Vehicle Operations (SVO) team at Jaguar Land Rover, the engineers and aerodynamic experts have scrutinised every possible component to maximize the F-TYPE SVR’s performance. Powered by a 5.0 l Supercharged V8 engine that produces 423 kW and 700 Nm of torque, the Jaguar F-TYPE SVR can accelerate from 0-100 km/h in just 3.7 s and hit a top speed of 322 km/h. The Jaguar F-TYPE SVR is available in Coupe and Convertible form. The new F-TYPE SVR is the first Jaguar car to have been developed by the Special Vehicle Operations. Their ideas of precision engineering reflect brilliantly in each aspect of the car. Be it design, performance or comfort; sports car enthusiasts will experience all these features when behind the wheel of the new F-TYPE SVR. The interiors of the car feature SVR performance seats that offer lateral support during dynamic driving. This attribute is coupled with an option of cooling, thus enhancing the overall driving experience by an impressive notch. Moreover, the lightweight Magnesium construction of the seats saves an incredible 8 kg of weight when compared with the previous generation models. 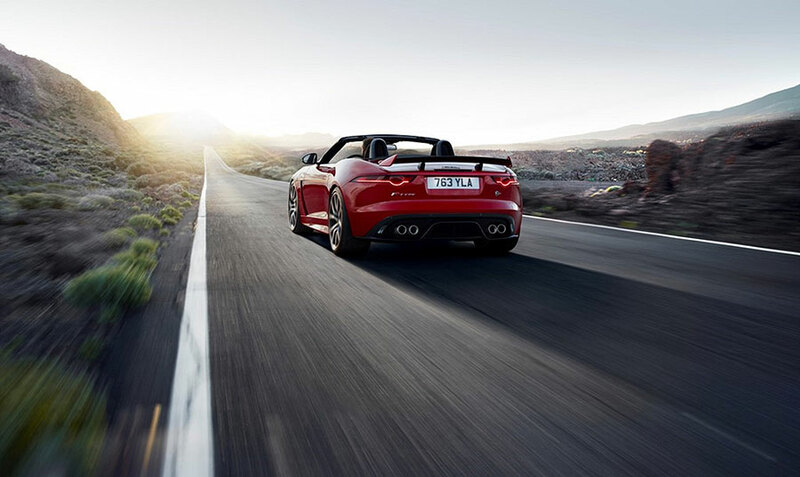 Further lightweighting has been achieved by the use of Titanium and Inconel exhaust system that saves 16 kg, while adding muscle to the roar of the F-TYPE. Forged 50.8 cm (20) alloy wheels save a further 13.8 kg, while the use of a new, larger rear bearing enables an increased stiffness of up to 37 % higher than the conventional F-TYPE rear knuckles. Complementing the aerodynamic feasibility, the F-TYPE SVR’s V-MAX mode allows you to achieve astonishing speeds with minimum drag delivering pure driving pleasure and re-defining the art of performance. Wider Pirelli P-Zero tyres – 10 mm wider than standard F-TYPE tyres – offers improved grip and handling. Collectively, these incredible features truly highlight the F-TYPE SVR’s reputation as a powerful, agile and utterly distinctive sports car. 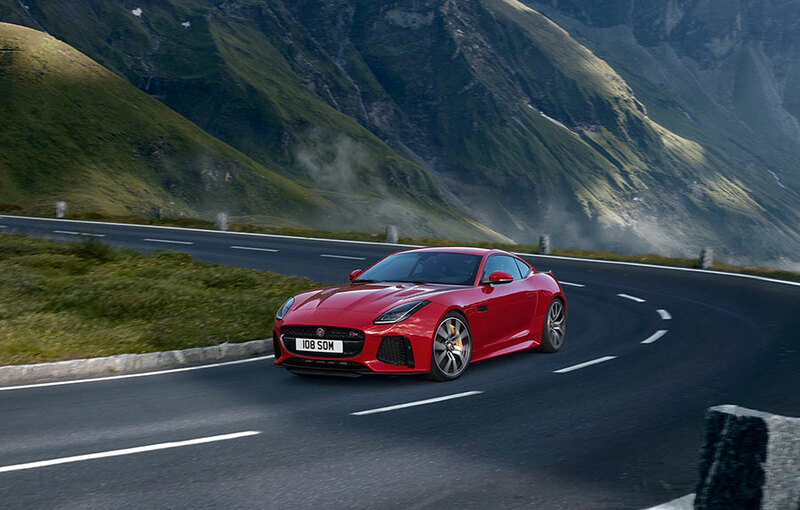 Lighter, faster and draped in a sleek blanket of stunning design, the new Jaguar F-TYPE SVR provides luxurious aesthetics and driver-focused performance, while retaining the comfort and daily utility provisions, atypical of all Jaguar cars. The Jaguar range in India includes XE (starting at ₹ 37.31 Lakh), XF (starting at ₹ 48.14 Lakh), F-PACE (starting at ₹ 61.91 Lakh), XJ (starting at ₹ 100.80 Lakh) and F-TYPE (starting at ₹ 134.33 Lakh). All prices mentioned are ex-showroom prices in India.